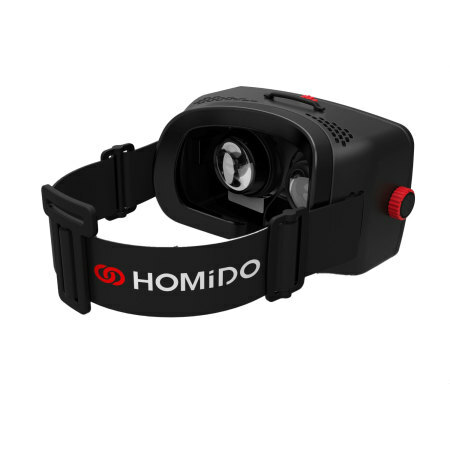 The Homido VR Glasses bring virtual reality to the masses with the universally compatible VR headset. By combining your 4 - 5.7 inch smartphone with the Homido VR Headset, you'll be transported to beautiful 360° worlds, all from the comfort of your home. It is a good product but not exactly what I expected, Here are some of the pros and cons: Pros: Well built (Durable) Head strip (Well balanced) Nice pair of lenses Additional Lens cap (6 Pcs) Cons: Placing the phone in to it is not the best as it's prone to scratch the screen/phone if you do not have a protector installed. The plastic around the Nose resting area is quite sharp, so need to be careful while wearing/removing. I can’t wear glasses with it, No room for them, I going to have my Eyes tested next week I will see what they say. Overall I like the experience. Lots of area to improve specially the phone placement.You have to take the IPhone out to start YouTube every time to see the next one. Got the exact product that I payed for in good condition. It was for my father and he loving it. The delivery was right on time as mentioned on the website and also confirmed by the rep on phone when I called the office number. Overall a good experience in purchase. 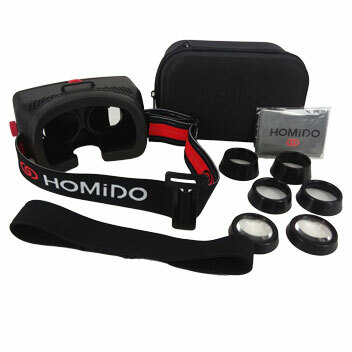 By combining your 4 to 5.7 inch smartphone (89x49mm to 126x71mm) with the Homido Virtual Reality Headset, you can be transported into a deep, rich 3D world. Delivering a completely new way to experience games, movies and pictures, all from the comfort of your home. 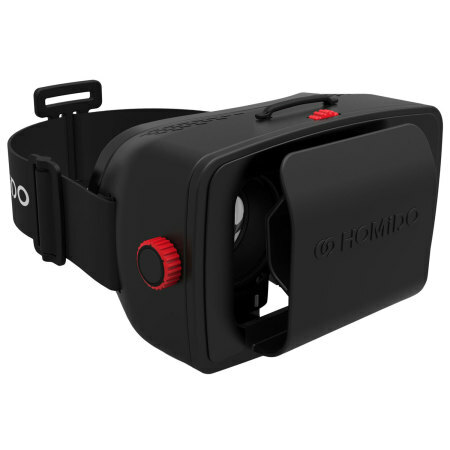 While many VR headsets come with custom moulded trays which significantly reduce compatibility, the Homido Virtual Reality Headset has been made with a simple support system, which allows it to work with the majority of smartphones on the market today. 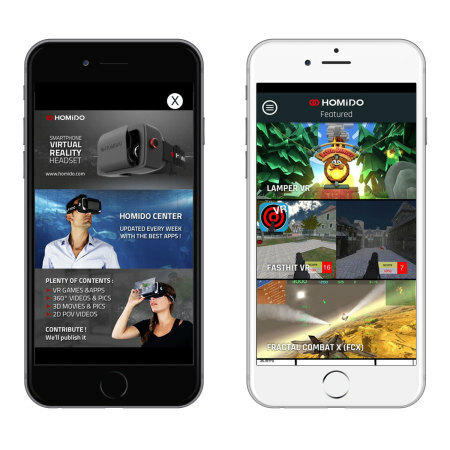 With many VR Headsets being launched with limited content available at launch, the Homido bucks the trend and features a massive library of high quality content across both Android and iOS. 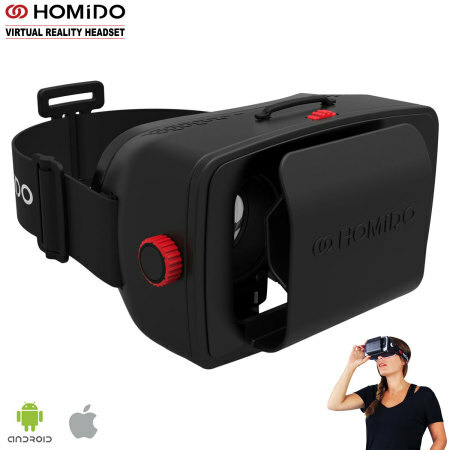 Whether you want to play immersive 3D games, put yourself in a new location or watch full 3D stereoscopic movies - this Homido VR Headset allows you to fully make use of your new virtual reality headset and enjoy a brand new way of experiencing entertainment. 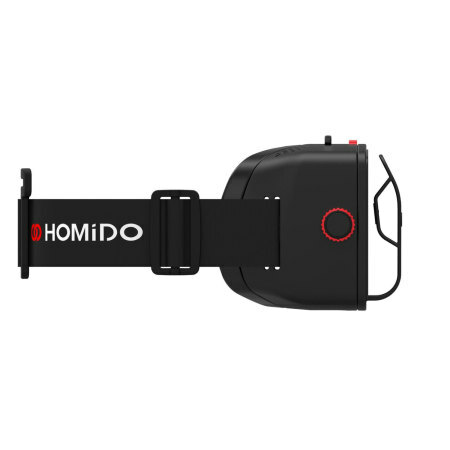 Built with soft, flexible cushioning and lightweight materials - the Homido Headset is comfortable to wear. As it is wearable technology, this is very important of course. 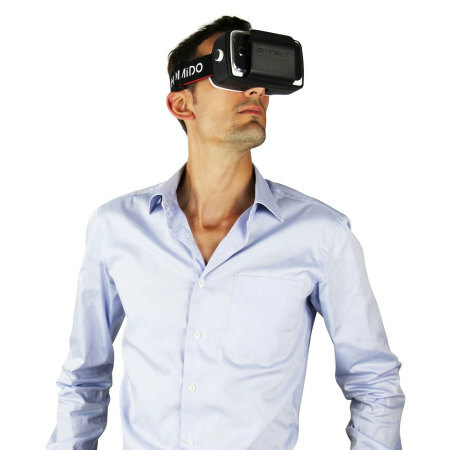 There's no point having cutting edge wearable tech if it's unwearable! 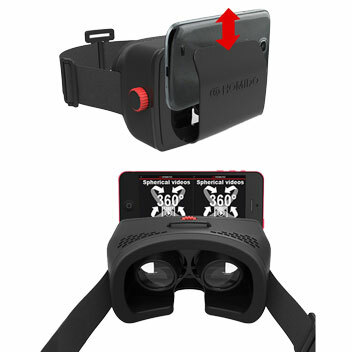 It is completely wireless, so it is possible to be fully engaged in virtual worlds without being tethered to a computer. 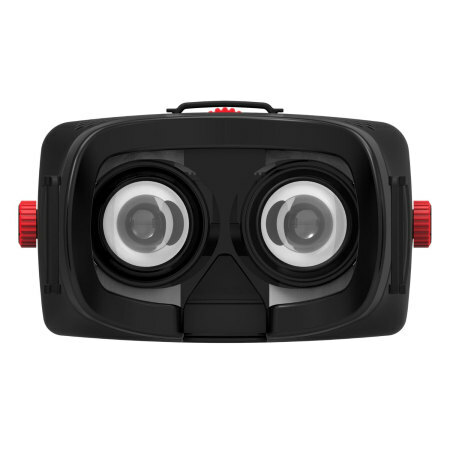 With a robust selection of optimised virtual reality content from a wide range of top-tier creators, owners can enjoy a wide range of film, gaming, 360 degree video and educational/experiential content. Viewing media will never be the same again. You're no longer just a viewer, you're an active participant. Adjust the strength of the 3D effect using the featured dial on the side of the Homido Virtual Reality Headset, providing a comfortable view of the action or scenery. 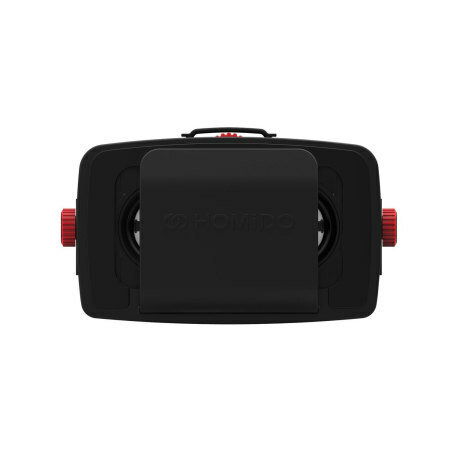 Also included with the Homido VR Headset is a protective case, perfect for taking this fantastic technology with you wherever you go.